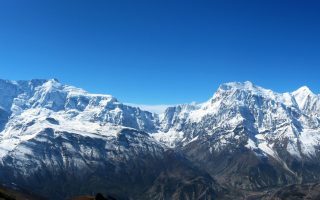 A Himalayan state Nepal, a country with diverse geography, along with legends, mythology, rich religious and cultural heritage. The significant majority of the Nepalese follows Hinduism and most of the religious sites are within the Kathmandu valley. That is why Kathmandu is often called “the lands of Gods and Goddesses”. 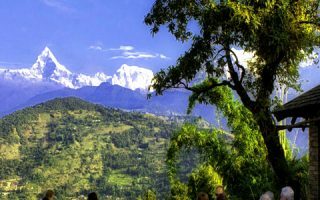 The religious sites in Kathmandu valley are the major sightseeing attractions for those who are looking for a pilgrimage tour in Nepal. At every step, one can see temples and sanctuary, parade and devotional music. Some of the mention religious sites are listed as a world heritage sites by UNESCO. Each temple attaches the belief that praises the remarkable powers of its deity. Many national and international pilgrims find their way to some of these major religious sites in Kathmandu Valley. The Pashupatinath Temple is a famous and sacred Hindu temple. It is located at the banks of the Bagmati River, 5 kilometers north-east of Kathmandu. Dedicated to Lord Shiva, Pashupatinath is one of the most important pilgrimage sites for the Shiva devotees in Asia. Furthermore, in 1979, included as one of the seven monument groups in UNESCO’s designation of Kathmandu Valley as a cultural heritage site. The main pagoda-style temple with a gilded roof, wood carvings with the finest quality and four sides covered in silver, built in the 5th century and later renovated by Malla kings. Further, there are 1000 Shiva Lingam in Pashupatinath. Bagmati sanctity also called Arya Ghat makes Pashupatinath most sacred cremation site. One of the major Festivals of the temple is Maha Shivaratri on which day over 1 million devotees visits here. The Pashupati Bagmati Aarati is the most mesmerizing rituals at Pashupatinath Temple carried out every day. The Aarati follows three priests conducting the custom with oil lamps, lanterns, and other religious elements by chanting the sacred mantra. Note: The Aarati is performed at 6 pm every day. The attendees experience a blissful moment. Swayambhu Stupa is, perhaps, the best place to observe the religious harmony in Nepal. Located on the top of the hill west of Kathmandu value is one of the popular and instantly recognizable symbols of Nepal. Due to the large tribes of monkeys that guards the hill, also referred to as “ The Monkey Temple”. Legends say after the Bodhisattva Manjushri drained the water from the lake revealing the Kathmandu valley; the lotus one the island of the lake, transformed into the hillock, and the flame light from the lotus became the statue. In addition, the 365 stone steps lead straight to one of the most sacred Buddhist sites, from where painted eyes of Swayambhunath seem to peer down your soul. The monasteries here have huge prayer wheels, fine Buddhist paintings, and special butter lamps which is lit after presenting monetary offerings. From the hilltop, you will have a bird’s eye view of Kathmandu valley. Early evening views are even more striking as the city lights begin to illuminate. Bouddhanath is among the largest stupas in South Asia, located on the eastern side of Kathmandu. Further, it has become the focal point of Tibetan Buddhism in Nepal. Boudhanath is one of the few places in the world where Tibetan culture is vibrant, accessible, and unbound. Moreover, Curio shops, Gompa monasteries, and restaurants surround the stupa. Besides, monks walk about in maroon robes. Boudhanath hosts the largest celebration in February or March during the festival of Losar (Tibetan New Year). There is a circular mound of 108 small images of Dhyani Buddha Amitabha Around the base of the stupa. A brick wall used in the stupa has 147 niches, each with four or five prayer wheels bearing the immortal mantra ‘Om Mani Padme Hum’. It is also possible to walk to the upper layers of the stupa. In late afternoons, you will find the monks chanting prayers around the stupa which will produce a spiritual vibe around the complex. Note: Always remember to walk around the stupa clockwise. This temple is located at the southern edge around 22kms from the valley, one of the main temples in Nepal for the goddess Kali; the most bloodthirsty incarnation of Parvati. It is the famous Hindu pilgrimage destination between two hills and at the confluence of two rivers. Twice a week (Tuesdays and Saturdays) witnessing the sacrifice of goats, chickens, pigs, and even buffalo to satisfy her bloodlust. Moreover, this is the main way to worship the goddess Kali, especially seen during the Dashain festival. Furthermore, during the annual celebration of Dashain in October, the temple is literally washed with blood and the image of Kali is bathed with it. The pathway behind the main temple uphill offers good views. In addition, non-Hindus are not allowed into the actual compound of goddess Kali, but visitors can watch from the surrounding terraces. There is a strong belief in the ability of the goddess to make wishes come true. Furthermore, Budhanilkantha is a Hindu temple, located at the base of the Shivapuri Hill, 10 kilometers from the center of Kathmandu. The Budhanilkantha statue of the Hindu god Vishnu is the largest and most beautiful stone carving in all of Nepal. Budhanilkantha literally means “Old Blue Throat”. Vishnu (Narayan) lies peacefully on a most unusual bed; the coils of the multiheaded snake, Ananta or Shesha in the cosmic ocean. Further, the deity is about a thousand years old. In addition, Vishnu four hands hold the four symbols, the Shankha as conch shell (the four elements), Chakra as disc (representing the mind), Gadha as the club (primeval knowledge) and the Padma as lotus flower (the moving universe). There is the huge celebration during Chaturmasya periods (Lord Vishnu when sleeps on the cosmic ocean) and in late October or early November period during Haribodhini Ekadashi day (Lord Vishnu wakes up).